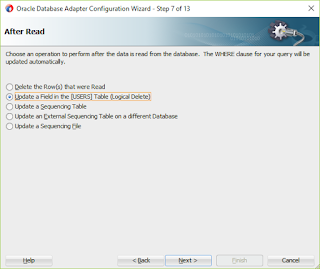 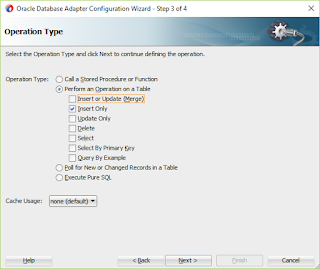 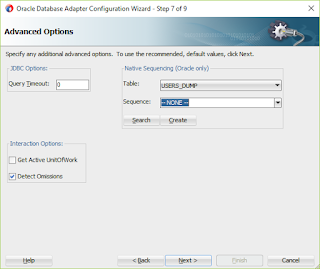 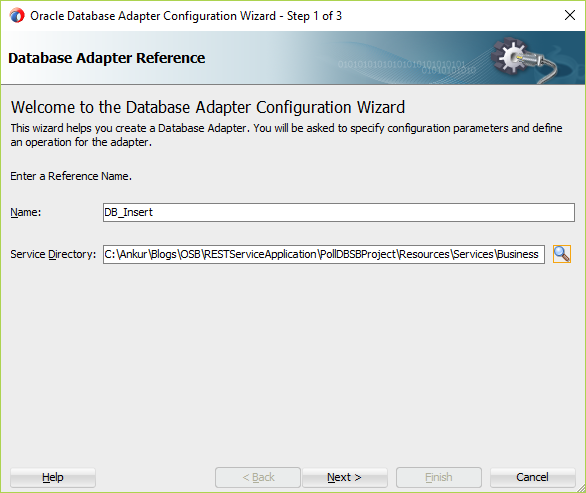 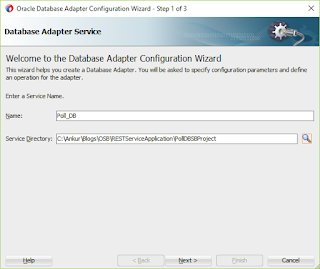 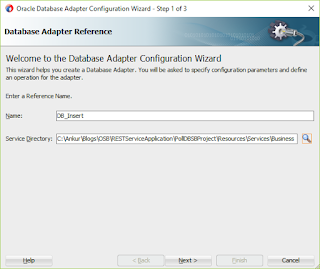 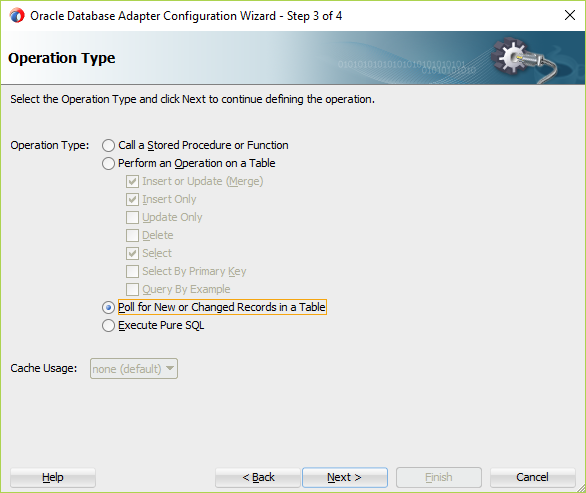 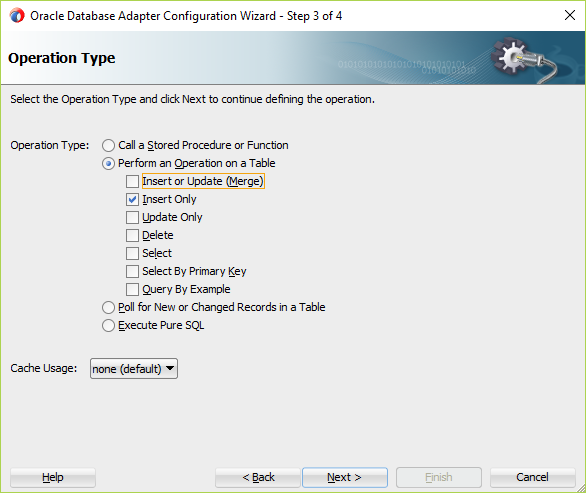 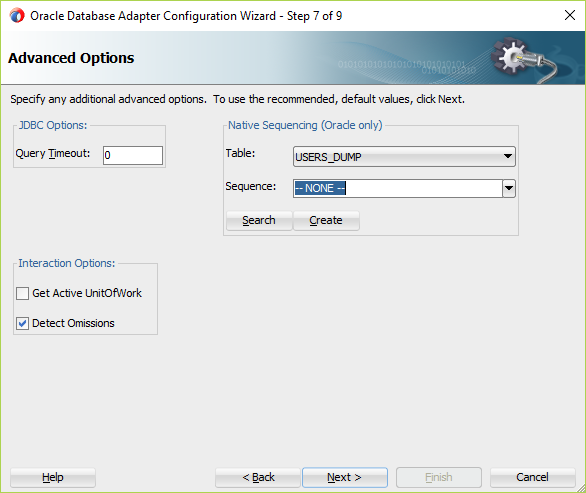 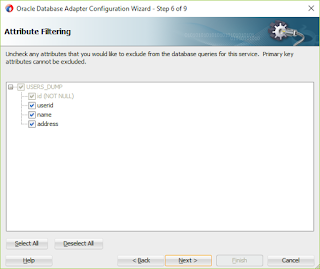 We have used DB Adapter in OSB to perform operation in database. 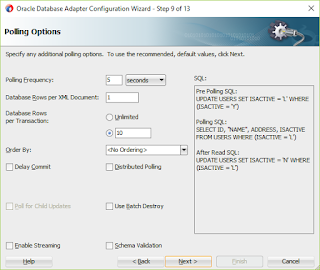 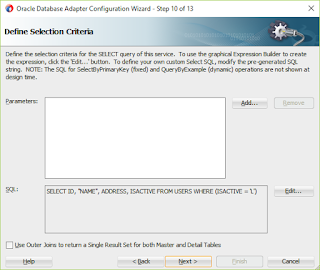 One of the features that is mostly used is database polling when working with database. 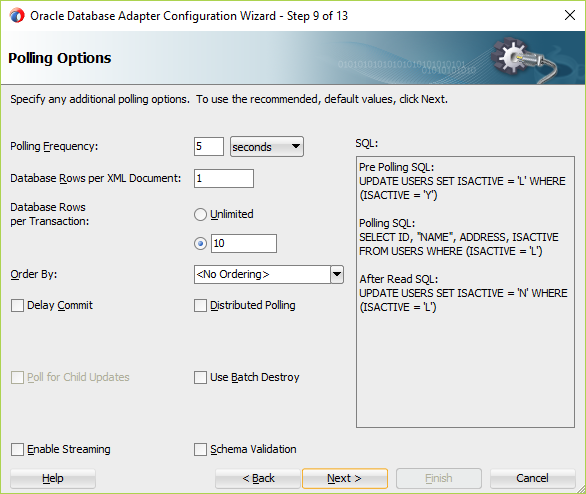 In a blog, i will show you different polling strategies in ACTION from OSB perspective. 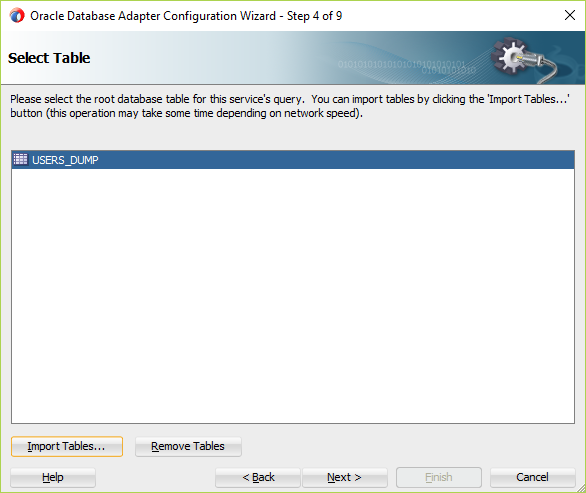 I have taken a use case of migration data from one source(Users) table to destination(Users_Dump) table. 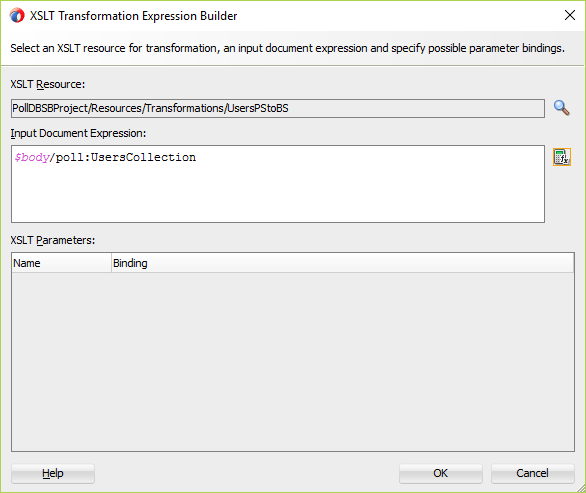 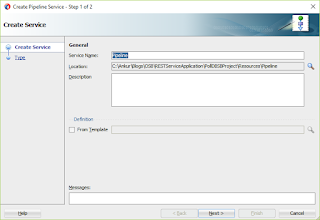 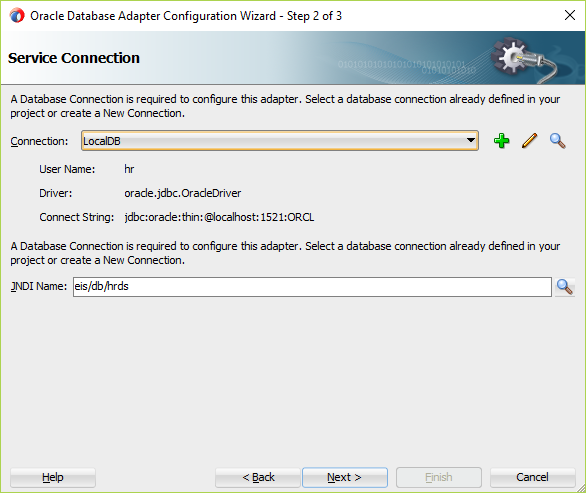 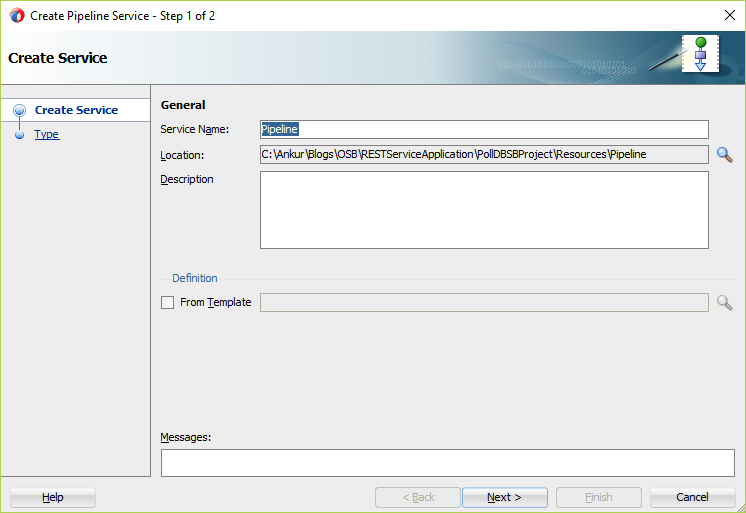 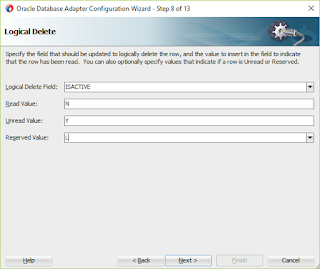 To complete this demo you would be requiring Jdeveloper 12C and Database. 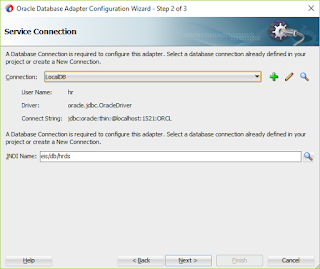 This post assumes the reader has basic understanding of working with DB adapter in SOA using Jdeveloper. Assume we have two tables in the database. 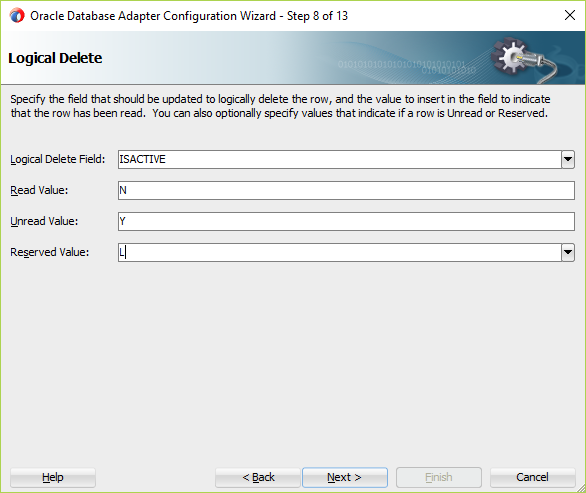 Select the Update a Field in the Table(Logical delete). 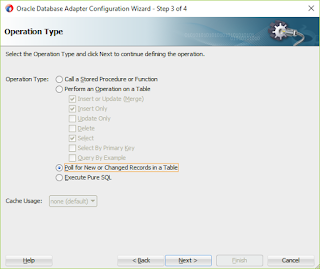 This option allows you to update the Field after the record has been picked up. Run the application and check the Users_DUMP table. 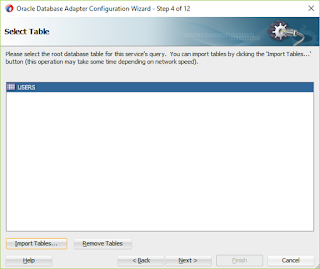 This table must have 2 records as Users table had two records with INACTIVE column having value 'Y'. 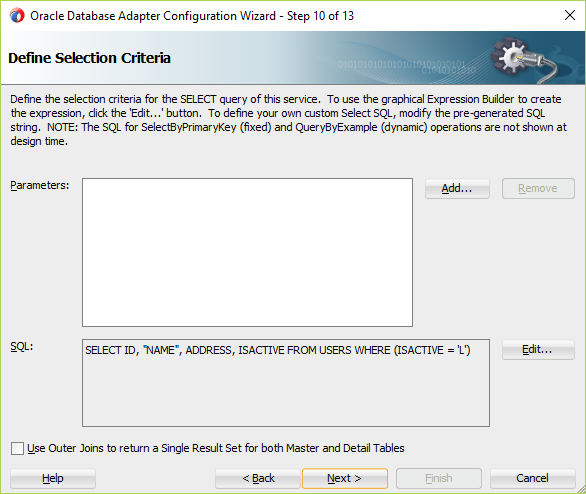 Once the poll completed, you can see INACTIVE flag become to 'N' in Users table. 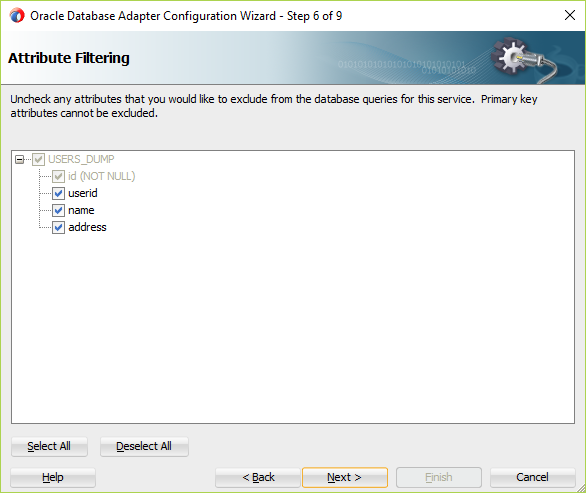 Thanks For sharing nice article about database development services.